You’re selling a customized electric golf cart. 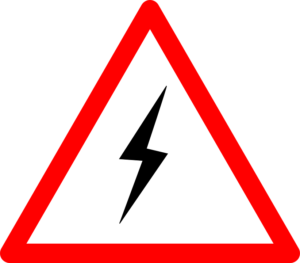 Have you educated the customer about voltage and amperage? This can break a sale when a customer can’t wrap their head around understanding what they’re trying to buy. The less a customer understands, the more frightened they’ll be of buying now and the less likely they are to come back. This damages future parts and replacement sales as well, and golf cart sales down the road. This is especially damaging if the customer’s a business. This kind of education goes a long way toward developing relationships between customer and dealer, or business and dealer. Make sure that customers understand that voltage is power. It doesn’t have to do with fuel or range, at least not directly. It’s easy for them to understand the foundation that 72 volts is more than 48 volts. Higher voltage means greater power and acceleration. That’s the easy part. Once they understand this, then you can get to the golf cart’s controller and amperage. Amperage decides the range of a golf cart. That’s the simplest way to put it. These concepts should both be easy for a customer to understand. Don’t overcomplicate them; just make sure the customer understands these two broad concepts. Now you can start getting into the battery system of a customized electric golf cart. Different battery systems can deliver different amperages. Tell them to assume the golf cart is traveling at 20 mph. A 48-volt system can be arranged in different ways. A 48-volt system of 4x12 volts can deliver approximately 600 amps. Yet a 48-volt system of 8x6 volts can deliver 1,800 amps. This alone can increase the range of a golf cart from about 12 miles to about 35 miles. Both systems deliver the same voltage, so their speed and acceleration will be similar. Yet because they deliver different amperages, their range will be different. The power and acceleration of the golf cart doesn’t change, but the range does. This can help a customer understand why battery systems perform differently. It’s also why a 36-volt system (6x6 volts) can go further than a 72-volt system (6x12 volts). The 72-volt system will be far superior in speed and acceleration, but will deliver less amperage than the 36-volt system. This means that – while not as fast or quick – the 36-volt system will have better range. A customer who understands this will be more open to seeing the value in purchasing higher-quality battery systems and controllers. They’re also more likely to customize an electric golf cart in a way that suits them. If they understand these concepts, they won’t imagine you’re trying to downsell or upsell them unfairly – they’ll see how you’re trying to build to suit their needs. Customers such as golf courses, camping areas, colleges, and retirement communities are more likely to choose an option with higher amperage. Their golf carts have to travel further and power isn’t as much of a concern. Customers such as hunters, stables, and maintenance crews are more likely to choose an option with higher voltage. These help them haul supplies and conquer hills and rough terrain more easily. Always listen to your customers in golf cart sales. They’ll communicate what they do and don’t understand, even if they’re trying to present themselves differently. A quick and simple education in voltage and amperage can help them understand and make the right decisions. When you customize an electric golf cart, a customer who gains more knowledge than they had walking in will be more satisfied, less scared, and more likely to close a sale.